Considered as one of the oldest distilleries in Belgium, the history dates back to the 18th century. 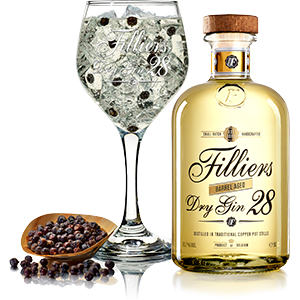 Filliers Dry Gin 28 fully expressed the traditional craftsmanship of Filliers, developed after decades of authentically distilled genever. Patiently crafted by hand for exceptional character and flavour. 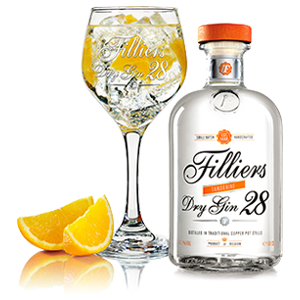 Filliers Dry Gin is masterfully crafted in traditional copper pot stills. 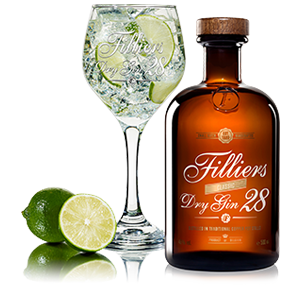 The Filliers distillery, established in 1880, have adapted themselves over the years to create a gin that showcases the expertise handed down through the generations, but with a contemporary edge. This award winning gin is juniper forward on the palate, with underlying citrus elements and a hint of cardamom & coriander. A classic dry gin with an additional hint of the Mediterranean. Filliers Tangerine edition requires a little extra patience and care, adding carefully selected mandarin oranges from Spain. These oranges are chosen for their beauty, flavour and freshness that can be attributed to the wonderful sunshine therapy they acquire between the months of November and January. A classic dry gin with a unique, floral, twist. 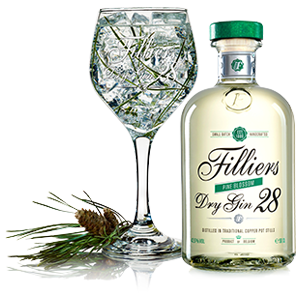 The classic Filliers Dry Gin 28 is taken a step further with this sensational Pine Blossom edition. The Pinus Sylvestris (Pine) flowers are made into a distillate and then combined with the classic dry gin. The addition of the Pine Blossom creates a beautiful harmony of juniper, citrus and a gentle floral after note, ideal for martinis or a gin & tonic. A classic dry gin that has been smoothed and rounded by aging in Cognac barrels. The classic gin is fundamentally changed, in a fantastic & unique way, by aging in Limousin oak barrels that were previously used for cognac. The gin is allowed to rest in the barrels for up to 4 months; allowing the citrus flavours to be softened, while vanilla and slight licorice notes develop.